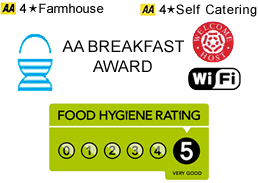 Welcome to our AA 4 star award winning Bulleigh Park Farm. You can choose from our self catering holiday cottage or lodge accommodation. We also have B&B rooms, all situated within the serenity of Bulleigh Park Farm on the outskirts of Newton Abbot. Our rooms are spacious and provide a great getaway. All rooms have modern amenities and stunning views overlooking unspoiled countryside. There is plenty of room outside for the kids to runaround or for BBQ's. Visitors enjoy our award winning breakfast and fresh local produce. 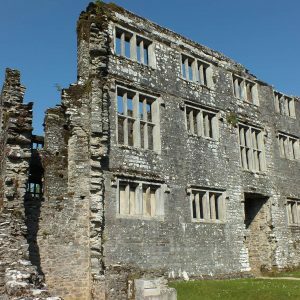 At Bulleigh Park, first of all, we are food lovers, we are genuinely passionate about the quality of our food which is sourced from local suppliers. 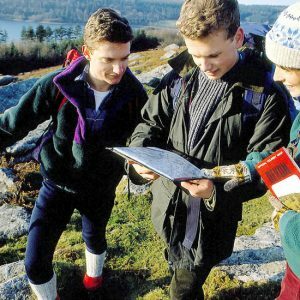 With our extensive knowledge of the area we can help you to plan your day to maximise your stay and inform you of any local happenings that may be of interest to you. Depending on the time of year there are carnivals, regatta's, food markets and much more. What our guests said about us. In the heart of Devon. We’re nestled in the South Devon countryside, with breathtaking views of the South Devon hills and surrounding natural settings that you can enjoy from the veranda. Immerse yourself in the peacefulness and splendor of engaging walks, which treat you to an abundance of wildlife including rare species of bird, and more. We’re just 3 miles away from prestigious destination, the English Riviera, so there’s plenty to see and do. At night, sit back and gaze at the clear starlit skies, and then retire for a warm, relaxing evening in unique, luxury accommodation at the heart of South Devon.